USD has stayed stable after the Chief Executive Officer of the Fed of Atlanta’s comments regarding the GBP data. 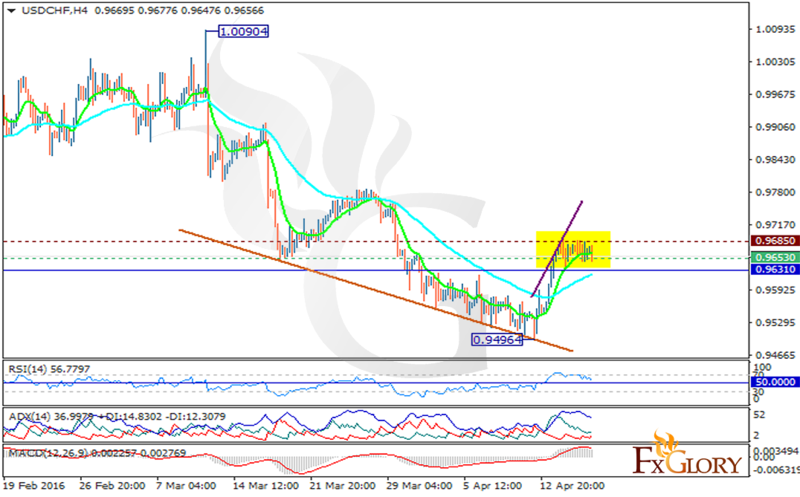 USDCHF is continuing its fluctuation after its bottoming at 0.94964. The support rests at 0.96530 and the resistance at 0.96850 which both are above the weekly pivot point at 0.96310. The EMA of 10 has already rallied the EMA of 50 which proves the price growth over the last recent days. The MACD indicator is in positive territory signaling the price growth. The RSI is above the 50 level which confirms the same scenario and the ADX is showing a buy opportunity. Long positions are recommended targeting 0.9750.